First established in 1952 and since swallowed up by the urban sprawl of Kuala Lumpur, you can now hardly distinguish Petaling Jaya from the ever-growing Malaysian capital. 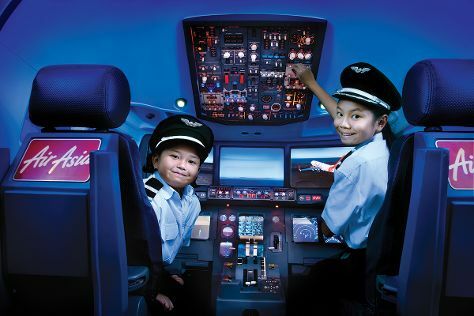 Family-friendly places like Sunway Lagoon Theme Park and KidZania Kuala Lumpur will thrill your kids. You'll find plenty of places to visit near Petaling Jaya: Kampung Kuantan Firefly Park (in Kuala Selangor) and Zoo Negara (in Ampang). There's still lots to do: Head underground at Batu Caves and look for gifts at 1 Utama Shopping Centre. For photos, more things to do, ratings, and more tourist information, read our Petaling Jaya trip itinerary maker. Use the Route module to find travel options from your starting location to Petaling Jaya. In January in Petaling Jaya, expect temperatures between 38°C during the day and 28°C at night. Wrap up your sightseeing on the 25th (Wed) to allow time to travel back home.